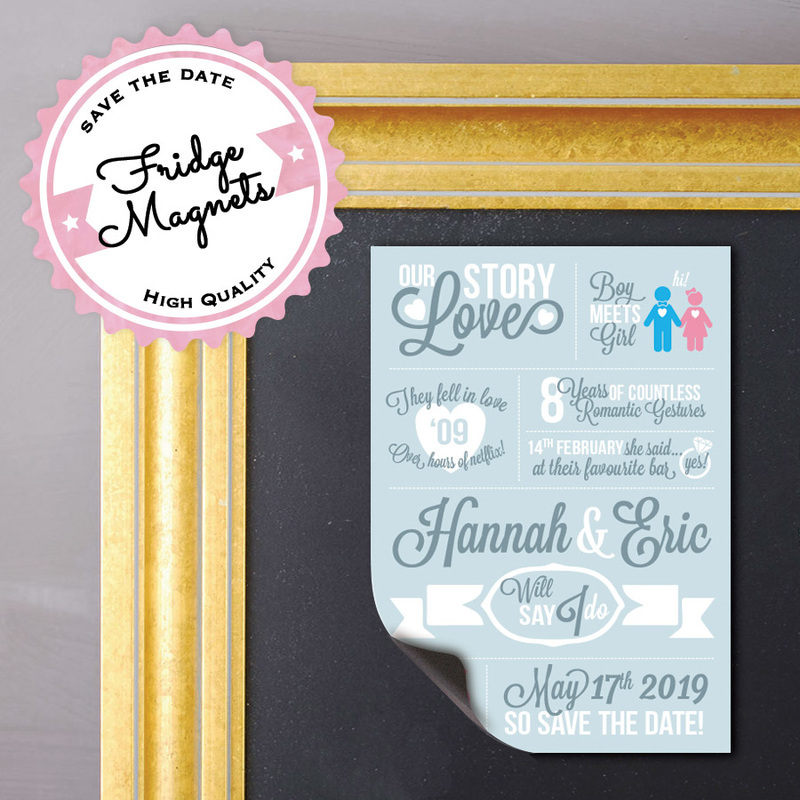 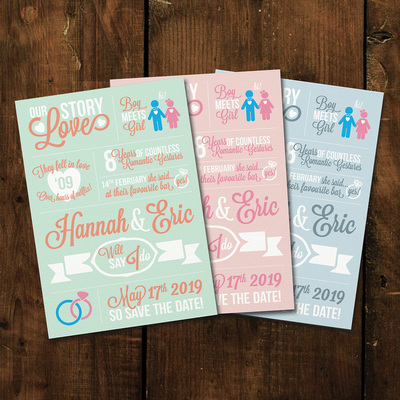 Your personal love story as save the date card on our luxury textured card, or as a high quality save the date magnet. 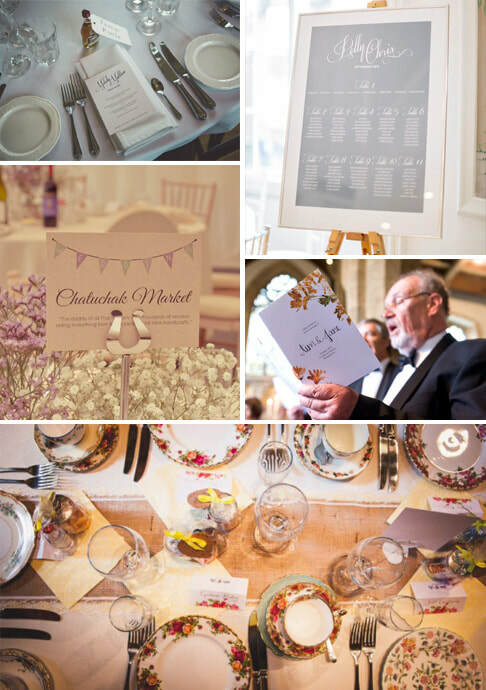 Customise the wording to suit your own personal story. 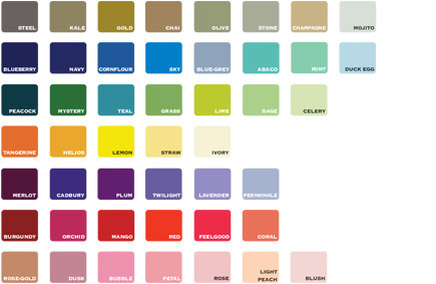 Chose from Blush Pink, Mint or Duck Egg, Or any colours from the chart below. 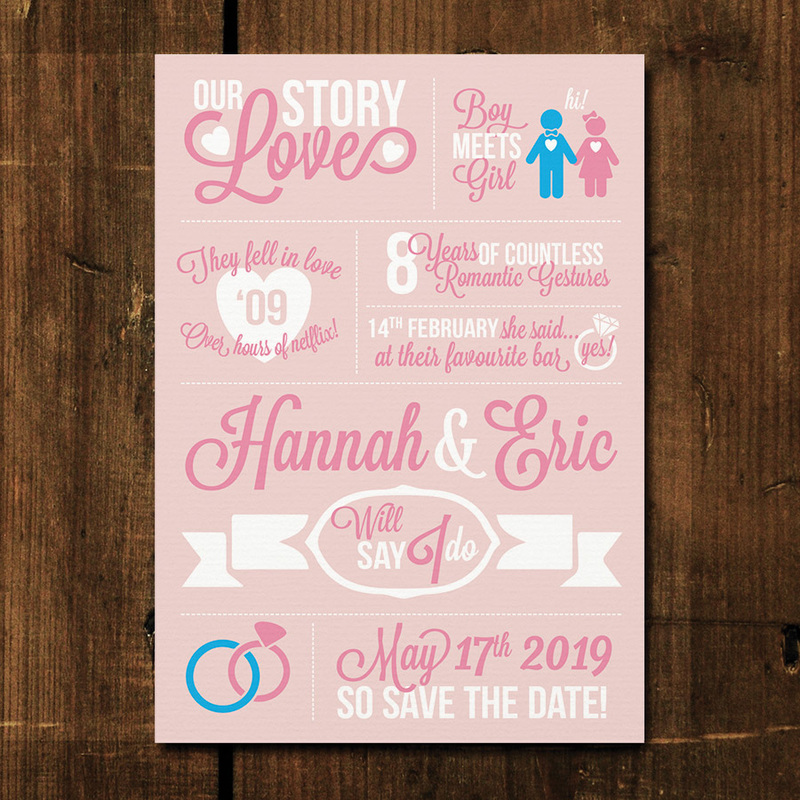 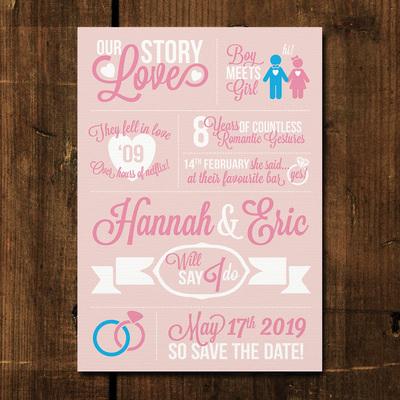 Save the dates measure 148 x 105 mm (A6 size).